For thousands of years, humans have wondered whether there’s life elsewhere in the universe. Ancient literature of most civilisations are replete with tales of extraterrestrials. In the sixth century BC, the Greek philosopher Anaximander suggested that other worlds were endlessly forming and disintegrating in a universe of infinite extent. A century later Democritus, another Greek philosopher, argued that the never-ending dance of atoms would inevitably lead to countless other worlds and other lives. The 12th century Islamic theologian Fakhr al-Din al-Razi wrote of a thousand other worlds. In the 17th century, Johannes Kepler and other astronomers began to wonder if improvements to the recently invented telescope would one day enable humans to actually examine some of those other worlds. “There may be yet created several other helps for the eye,” wrote Robert Hooke in 1665, “such as by which we may perhaps be able to discover living Creatures in the Moon, or other Planets”. Closer to our times, astronomer Carl Sagan once wrote that there are a million technological civilisations in our galaxy alone. His colleague Frank Drake offered a more conservative estimate: 10,000. Pioneering comet researcher John Oro estimates a hundred civilisations are sprinkled across the Milky Way. There are also sceptics like Ben Zuckerman, an astronomer at UCLA, who thinks we may as well be alone in this galaxy, if not in the universe. 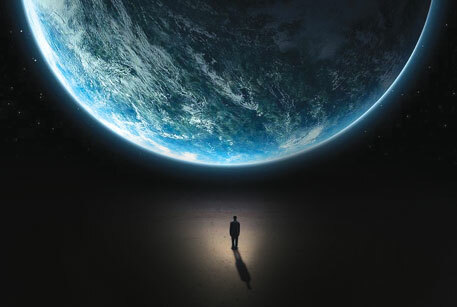 The fact, however, remains that estimates of life outside Earth are highly speculative. We don’t have any solid knowledge about a single alien microbe, a solitary spore, much less the hubcap from a passing alien starship. But we seem to be getting there. It seems that exoplanetology, the study of planets orbiting other stars far beyond our sun, is enjoying a golden age. Statistical extrapolations suggest there are probably some 20 billion Earth-like planets in our galaxy alone. Recently, astronomers mapped the clouds on a planet 1,000 light years away. In December last year, Sara Seager, a planetary scientist at MIT, told a US Congress Committee on Science, Space and Technology, “This is the first time in human history we have the technological reach to find life on other planets.” She said NASA’s Kepler telescope has found that about one in five sun-like stars should host an Earth-size planet outside of our solar system that can sustain life, and at current pace we are about 10 years away from finding signs of life outside Earth. Seager features prominently in Lee Billings’ Five Hundred Billion Years of Solitude. To begin with, Billing drives home an important point: the search for life in other worlds, or even just finding another planet that could possibly sustain any kind of life, is not a simple matter of calibrating instruments and pointing a telescope at a star. The search for Earth-like planets demands scientists have an intimate knowledge of our own planet. So Five Hundred Billion Years of Solitude is an exploration of this intertwining of the quest to understand our own planet and the desire to seek life beyond it. “Around the turn of the millennium, I started regularly seeing news stories about how astronomers were discovering ever-larger numbers of exoplanets, and how sometime in the next decade or so NASA and other space agencies would build and launch space telescopes designed for the explicit purpose of seeking out Earth-like worlds and the life they might harbour. That just seemed like such a cool, wild idea. I wanted to figure out how the state of play had changed so dramatically in such a relatively short time,” he said in an interview to the news magazine The Atlantic. The quest led him to the origins of astronomy and its links with astrobiology—the study of the origin, evolution and distribution of life on Earth as well as extraterrestrial life. 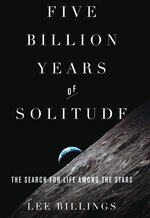 Five Hundred Billion Years of Solitude is both a primer on astrobiology, and a collection of knowlegde from some of the greatest minds in the field. We meet the redoubtable Frank Drake, professor emeritus at the University of California, Santa Cruz, one of the pioneers of research on extraterrestials. Drake pioneered the search for radio signals from extraterrestrials more than 50 years ago. He is also the creator of the famous Drake Equation which postulates the possible number of extraterrestrial civilisations currently in existence in the Milky Way. We also meet Gregory Laughlin whose forte is numerical simulations and modelling to detect extraterrestrials. Also interviewed is exoplanet hunter Geoffrey Marcy. And then there is Seager of course. Billings tells us about the predicaments of NASA when trying to squeeze as much of its various projects out of limited dollars and the fickle behaviour of US funding agencies. He berates most US presidents for their lack of vision—John F Kennedy is an exception. All this while Billings is alive to his central concern: to relate the work of these scientists to protecting the life we do know on this planet? There is good news and bad news for those of us who worry about the future of Earth. The good news first: Billings reports that even if we burn up all the fossil fuel, we are unlikely to tip Earth into “a runaway-greenhouse world” as one scientist described Venus. The bad news is the planet is going to become uninhabitable anyway. Long before the Sun burns out, Earth’s core will cool off and volcanoes, which restore the atmosphere, will cease. The amount of carbon dioxide will fall to levels too low to support photosynthesis in half a billion years or so. The only way for humans to survive may be to move off-planet. So for Billings it actually makes sense to start thinking about this now. Such a vision, according to Billings, is “often implied but rarely acknowledged explicitly for fear of cynical ridicule”. But then it has also guided space exploration since the Russian scientist Konstantin Tsiolkovsky devised the first space rockets in a loghouse about 200 km southwest of Moscow. We may or may not discover habitable planets. But the fact that the Earth will not be able to sustain life for ever is indeed sobering for many of us who have taken the planet’s life-sustaining characteristic for granted.